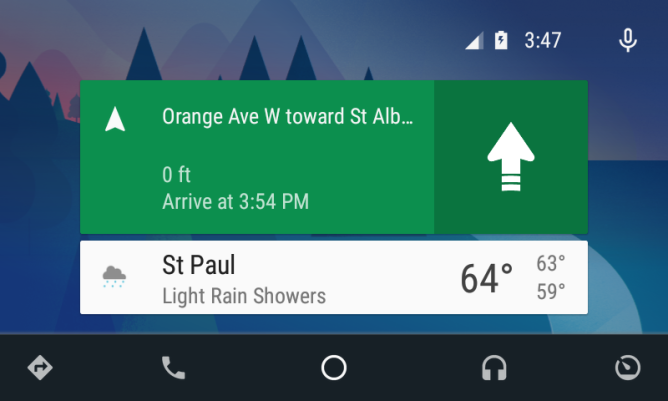 The Android Auto app is getting an update to v1.2, and there are some notable changes this time, mostly revolving around the home screen. Google has posted a changelog in the Play Store, but it only tells part of the story. Here's what Google says is in the new version. 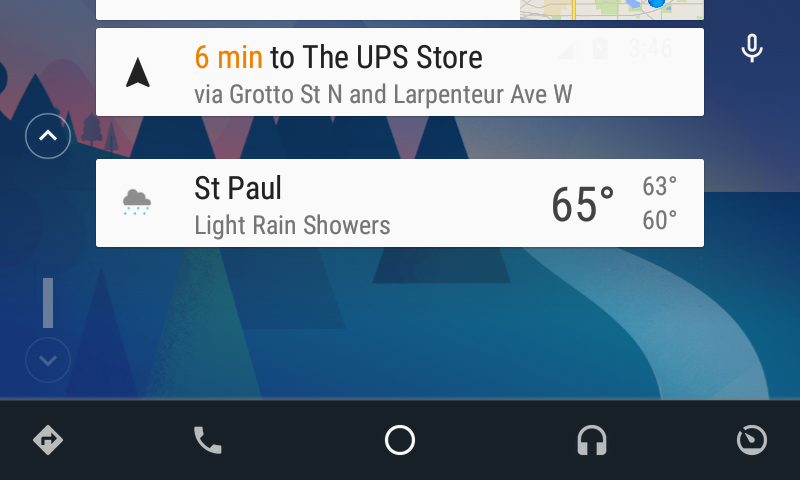 Improved home screen, allowing you to see ongoing activities like music and navigation at a glance. There's a new home screen background in this version, which you can see in the screenshots. Also, notifications on the home screen are not all the same color anymore. 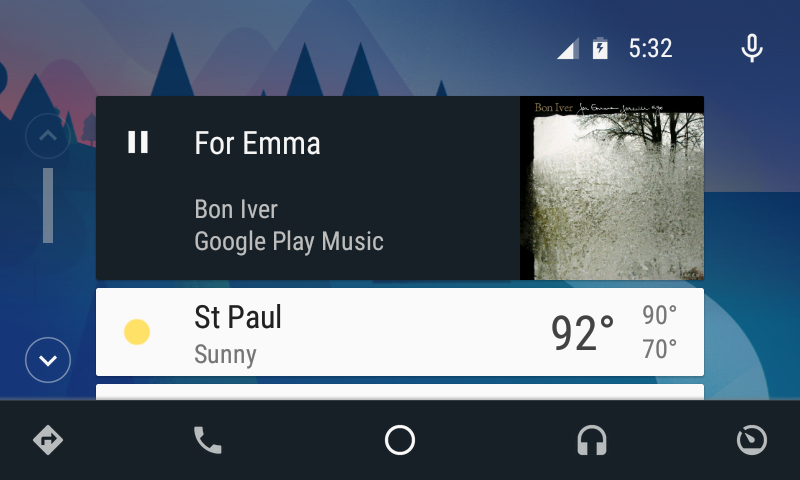 Playback controls are expanded and gray, just like on the phone. There's a play/pause button on the home screen. Previously, you only got a single line and it was just a link to the media tab. Navigation is also expanded on the home screen, making it easier to get directions without having the map up. Scrolling behavior is slightly different too. Notice how the cards are separating as the list scrolls in the above screenshot. They basically move in blocks with a little more inertia now. Google also says there are bug fixes in this update, but I haven't used it enough to speak to that. We can only hope, though. You can get the new version from the Play Store or from APK Mirror.